View the growing exhibitor lineup for IBE Dallas 2019. Are you a brand founder and interested in meeting retailers and expanding your brand? Inquire about exhibiting. Approved decision-making buyers and members of the press receive complimentary access to both days of IBE Dallas 2019. Click here to register to attend. Shop the 2018 Best In Show Winning Collection! 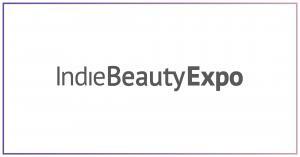 Join us for the BeautyX Retail Summit in Dallas just two days before IBE Dallas 2019.